After a twelve-hour shift in a busy emergency room, Janet O’Brien is beat. Her last patient arrives unconscious and naked. She’s lead to believe he’s a psyche patient off his meds. However, once he awakens, Janet is charmed by his million-dollar smile and agrees to give him a ride home. 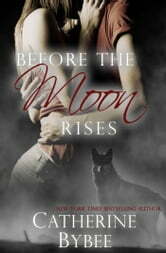 Werewolf, Max Ritter notices the sassy nurse when he wakes after a night under the full moon. Unfortunately, his archrival is drawn to Janet as well. In order to keep her out of harm's way, he opts to keep her close. When the chemistry between them sparks, Max discovers a completely new reason to keep Janet safe. Good book! Too bad it was so short.